Are you a business owner looking for a creative way to advertise your products or services? If you’re new to the small business world, it might be worth considering a vehicle wrap for your advertising. Vehicle wraps are one of the hottest ways to advertise, and provide you with some of the best means of letting consumers see what you’re about. At Apple Graphics, we know that getting your brand awareness out there is one of the most important ways to increase your visibility as a business. If you’re looking for a new way to boost your sales and spread your presence, then an Apple Graphics vehicle wrap is a great way to do it. Our technicians are Fellers Certified, which means that they have been trained by the world’s largest wrap company. Our skilled technicians take great pride in their quality services, and they are happy to answer any questions that you might have about your project. We use only the highest quality materials and tools for our wraps, and we offer a wide range of options for you to customize a design that speaks to the individual products or services your company provides. 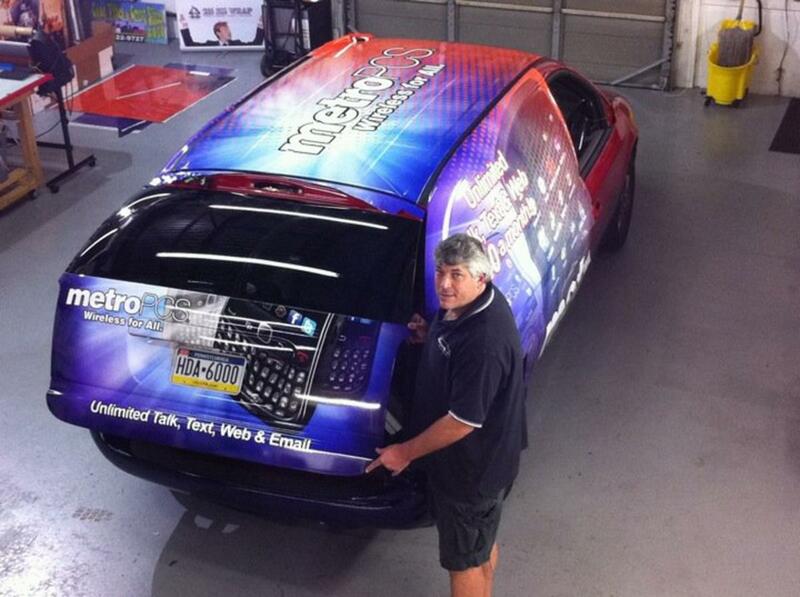 Our professional wrap crew comes from a history of printing, graphic arts and automotive industries. Mobile wrap advertising is at the cutting edge in this day and age for most businesses, and Apple Graphics offers superior service and customer service. Our successful vehicle wrap services are the culmination of many years in the business, and our expertise shows in all that we do. The next time you’re looking for an affordable, creative and quality method for advertising your small business, consider an Apple Graphics vehicle wrap. We serve the Philadelphia are and surrounding suburbs.